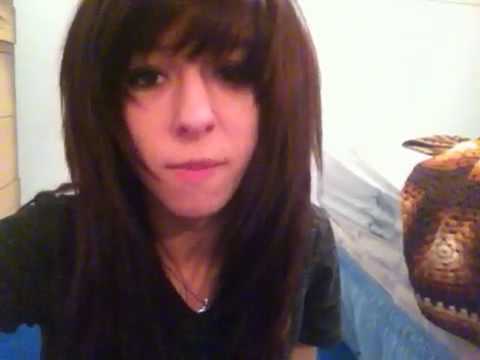 ﻿ Team Grimmie rawwks | zeldaXlove64.com (your Christina Grimmie resource) » Christina’s idol tweeted her!!! Home > Blog > Christina’s idol tweeted her!!! One of the things we love so much about Christina, is that every now and then, she reminds us that she is just a normal human being, just like her fans and everyone else. @therealgrimmie you are amazing! Can’t wait to meet you! Stacie Orrico, born March 3rd 1986, is an American Contemporary Christian and R&B singer, songwriter, and occasional actress. You might know her from hits such as “Stuck”, “More to life”, and “I’m not missing you”. Stacie was Christina’s idol ever since she was 10 years old. All she wanted to do was “sounds like her and sing as good as her”. So in fact, Christina was looking up to Stacie long before she noticed some of her other idols, like Christina Aguilera. Will we get a cover now? So now you kinda sorta hafta to do a cover of “I’m Not﻿ Missing You”.